Branden has been reading since he was six years old. When he first picked up a set of playing cards and had a sense and feeling of meanings behind each card. It wasn’t until he was in his teens that he understood he was actually reading Tarot. A natural clairvoyant, clairaudient and clairsentient, Branden has used these talents to further his knowledge of the cards, as well as to get further insight in to what the Universe has to tell you. Adding in humor and guidance, he leaves you with a sense of comfort and rest after your reading. Offering several different types of readings, Branden specializes in a yearly reading that covers a month to month for your year. It’s best to book an hour for this to get a deep insight in to your year; book within a month of your birthday/anniversary/mark of a calendar year. Branden also specializes in decision-making reading. When you find yourself facing two or more options, he can help you find which path suits you more. Heather is following in the tradition of Cartomancy, which is a cousin to Tarot, which provides multiple angles to a particular situation. By using the regular playing cards Heather uses her intuitive and channeling skills to see what energies are currently active in you, she can also see the people and situations going on around you, and receive messages to provide spiritual guidance. 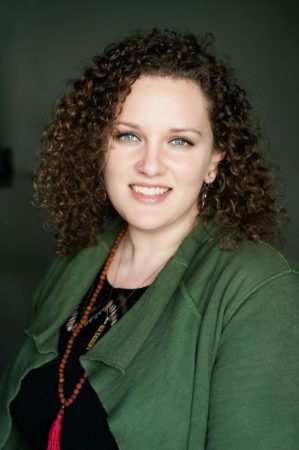 Heather specializes in readings revolving around work and business and can help you with shifting the way you interact with yourself and others to get you to where you’re supposed be. At the Green Man Hovik dresses magical candles, puts together mojo bags, makes spell kits, teaches classes, and writes a regularly published magical blog. He also offers his clients psychic clairvoyant readings and mediumship. He’s highly skilled in using tarot cards, bone throwing, playing cards, runes, coffee grounds, trance readings, as well as ancestral communication and healing. Hovik also offers his services connecting customers with spirit guides, guardians, animal totems, and ancestors. Everyone has spirits in their lives, but most don’t know that they are there. Let Hovik use his gifts to connect you to yours. Born into a family of Psychics and Ministers, Jason McKean is a natural Tarot Advisor for those looking for grounded and heart-centered advice. Having been in the metaphysical field for over 30 years, he is also an ordained non-denominational minister and has traveled to the great cathedrals of Europe, the shrines and temples of Japan, and the modest churches of the US, and recognizes the divine quest that we ALL seek…a working connection with spirit to help us in our lives. Click here for Jason’s YouTube for Astro-Tarot forecasts! Since early childhood, Kellie Sue has been able to “see” where lost objects are — enough to describe the lost item’s surroundings to her friends or friends of friends, so that they may be found. As an intuitive, she uses the sight to “see” and assist people in finding themselves when they’re feeling lost or off track, so that they can find their footing again. In her words, “We live in a time of infinite stimulation in finite bodies. It’s crucial that we accomplish our purposes/our mission within whatever time we have here. As an intuitive, I help people gain a deeper sense of that mission, and ways to stay focused and on track. Using The Tarot as a guide, I listen intently to both my Spirit Guides and those of the person in front of me for the most clear and direct information. “For a number of years, Kellie Sue has been a lifeline for me when I’m feeling doubtful about a difficult decision, I know that I can trust her intuition whether it’s what I wanted to hear or not. I know she’ll tell me the truth and best way to move forward. Sometimes it’s as simple as moving past fears that keep me stuck … she instills a sense of confidence and clarity.” —Lisa McGee, Actress. “I’ve never gotten my cards read by Kellie Sue. That’s just not my thing. What I have relied on Kellie Sue for over the past 20-ish years is helping me find stuff I’ve lost…I’d lost my wedding ring, looked everywhere for it for several days. Finally, I asked her if she could “see” where it was or if it was gone for good. She told me that it was at my in-laws next to the wheel chair ramp in the grass near the bottom close to the cement. We had to wait for the snow to melt, but then, sure enough — my father-in-law found it exactly where she said it would be. That’s just one example. Another time I can think of off the top of my head is when she “saw” my missing wallet, described where it was — said it was at our house but outside — I hadn’t yet replaced all of my cards, hoping to find it. She said it was in a dark cool place near water in the yard, very close to water, but not wet. I went outside and thought to move the kiddie pool just in case, and it had slipped underneath it while I was supervising our daughters in the pool.” — Darrin Mann, Foley Mixer. 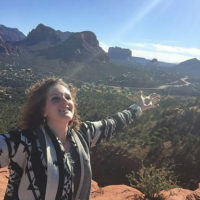 Marjorie is a gifted medium who works with her familiar and spirit guides to mediate messages to you from your loved ones who have crossed over. Mediumship to her is a special opportunity to help you get connected with those who have passed, allowing the relationship to continue and strengthen. Along with mediumship, Marjorie has been working with the Tarot and Oracle cards for over 25 years. She can work with you to take a closer look at your current circumstances to provide guidance and focus in achieving your goals. When working with clients in the corporate world, the focus becomes looking at the current situation and strategically planning the best steps to being successful in your career path. “Goddess M” (Matilda)has worked as a psychic for over 25 years. Using Tarot, pendulum, her guides and the VIOLET RAY of the highest vibration, she has been gifted with the ability to channel into your past, present and beyond. 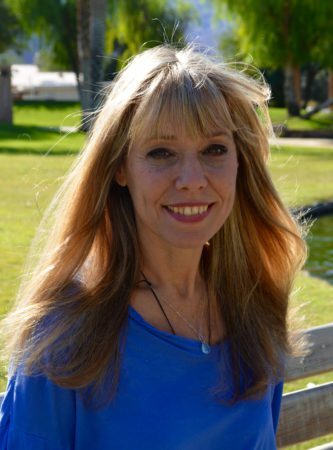 Matilda has read at several internet sites, including Mystic Insight and Psychic bookstores Lady of the Lake (San Diego), As You Wish (North Shore Lake Tahoe), Nirvana (Temecula). She has helped hundreds of clients with love, businesses and health issues and also does clearing and Reiki Crystal healing. Available for Private Consult and Parties. Born with the gift of sight, Stephanie comes from a long family line of psychics. She is clairvoyant, clairaudient, and clairsentient, as well as a psychic medium. Stephanie channels spiritual guidance during each reading to bring the clarity that restores peace to the mind and heart. I have researched and practiced the art of Astrology for almost 15 years. My involvement in this study resulted in my ISAR certification of Western Tropical Astrology. I am adept in the areas of Modern Tropical, Western Sidereal, Hellenistic, Evolutionary and Mundane Astrology. My most recent passion is in the field of Hindu Astrology (Jyotish), also popularly known to westerners as “Vedic” Astrology. I have been reading Tarot cards for over a decade. My experience began from taking instructional classes in Everett, Washington, where my interest progressed into self-motivated learning through intensive research, books and personal study. I intuitively read Tarot, Oracle, Lenormand and playing cards. This practice has strengthened my ability to read people, places and situations in my professional and daily life. My approach to dream analysis is based upon the Carl Jung school of Analytical Psychology, which seeks to explain the role and functioning of archetypes found in the collective unconscious, in regard to his contributions of personality theory. Decoding the language of symbols found in dreams is to help people consciously realize what their subconscious is communicating to them for the purpose of greater self-understanding. Ever since I constructed my college discourse in Jungian Dream Interpretation, I have integrated this method into my personal life, and consulting practice. In addition to my practice as an intuitive reader and astrologer, I am a natural mystic, healer, teacher, writer, artist and world-traveler. I hold a Bachelor’s Degree in Psychology and Counseling, with a Minor in Biblical Theology. I am an active participant in various Tarot and Astrology groups, domestically and internationally based. I have taught and lectured through various astrological organizations, as well as having organized and facilitated Tarot and Astrology groups to encourage metaphysical learning and networking. Tommy Oakley specializes in reading Runes. As a Marine combat veteran, Tommy is able to use his experiences and wisdom to help others find balance in times of stress and uncertainty. Trained in Italian witchcraft, Tommy offers a unique prospective to his craft and how it can help you in your everyday life. Tommy is one of the few remaining practitioners of Norse Runes: the original language of divination which dates back to 400 CE.